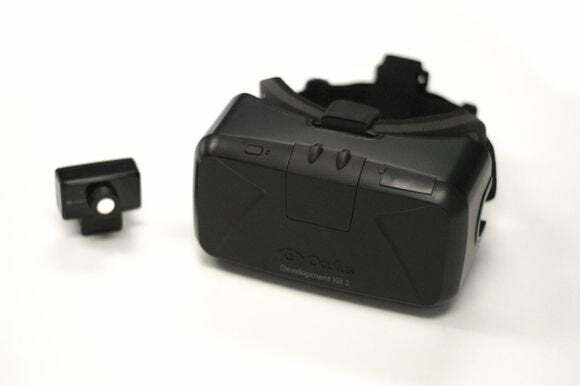 It's been just over four months since Oculus VR discontinued the original Rift Development Kit (DK1) due to parts shortages, and just over three months since the company put its new and improved Development Kit 2 (DK2) up for preorder. The virtual reality headset drought ends today. Oculus confirmed Wednesday morning that the first DK2 preorders are now shipping. They're slated to reach developers by July 14, though if you ordered one don't be surprised if it takes a bit longer to arrive—the company has sold 45,000 preorders since April, and I wouldn't bat an eye if it takes through August for them to fulfill that many orders. The DK2 is an enormous improvement over the original DK1. This is the first time outside of trade shows that developers will get to work with an improved resolution, which already makes a stunning difference. Gone is the "screen door effect" garnered by putting a low-resolution display so close to your eyes. The author exploring virtual worlds. The revamped headset also takes aim at the motion sickness some people experience while playing with the Rift—beyond the improved resolution, the new model features a low-persistence OLED screen to reduce judder and motion blurring. The DK2 also includes a separate external camera, about 1.5-2 inches wide, making it a bit more unwieldy than the original dev kit. 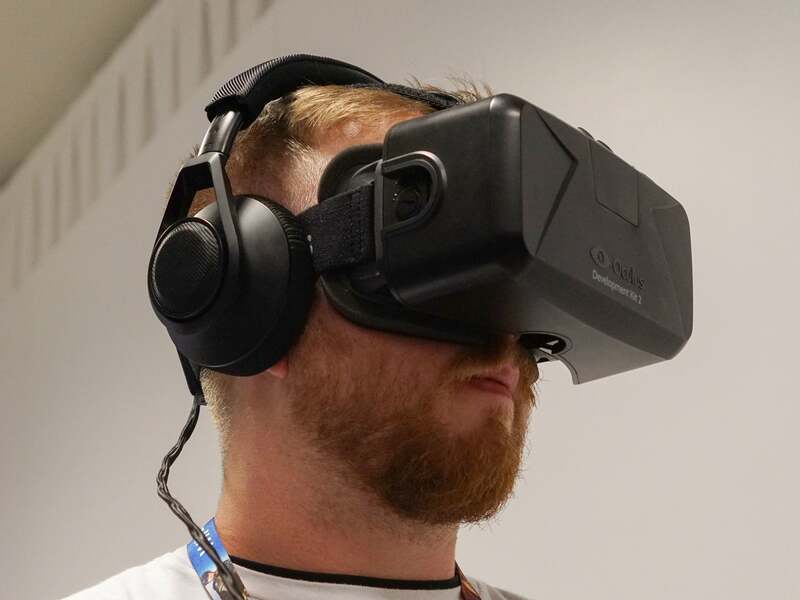 What it lacks in transportability, however, it makes up for by adding positional tracking to the suite of tools available to fledgling virtual reality developers. What does that mean in layman's terms? Well, in DK1 you could rotate your head and the gyroscopes inside the device would rotate the camera in place. The external camera in DK2 allows for more complicated maneuvers, such as leaning or ducking. All in all, it's quite an upgrade for $350. You can still preorder your own unit right now by heading to Oculus's website. This isn't a final, consumer-ready product though, so keep that in mind if you decide to purchase one—it's not meant as anything other than a prototype, hence the "Development Kit" designation.